They'll make escape impossible — but the trade-off might be inmates' mental health. If any of the inmates at Yancheng prison are considering an escape attempt, they’d better do it soon. The Chinese prison is currently wrapping up months of construction on a new “smart” surveillance system designed to monitor prisoners at every moment, including while they are in their cells. According to officials, this digital panopticon will make prison breaks virtually impossible — but it might also wreak havoc on prisoners’ psyches. On Monday, the South China Morning Post published a story detailing a new surveillance system at China’s Yancheng prison, which houses some of the nation’s most high-profile inmates. According to the outlet’s sources, the Yanjiao-based facility is almost finished upgrading its surveillance system to include a network of cameras and sensors capable of constantly tracking inmates. These cameras and sensors will feed into an AI system that uses facial identification and movement analysis technologies to monitor each individual inmate at the Chinese prison, producing a daily report about each one and flagging any unusual behavior. 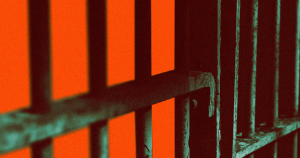 This isn’t the first example we’ve seen of prison officials attempting to make facilities “smart” — in February, Hong Kong’s Correctional Services Department announced the implementation of several technologies designed to help prisoners stay safe during their incarceration. There’s a chance the Yancheng facility’s system could serve the same purpose — if the prisoner in Meng’s scenario was pacing due to thoughts of hurting themselves, for example, the flagging of their behavior and subsequent check by a human guard could prevent that. However, Zhang Xuemin, a physiology professor at Beijing Normal University, told SCMP the new system will “definitely affect” the prisoners’ mental state. And while he didn’t elaborate on what that effect might be, past research has shown that constant surveillance can increase a person’s stress and anxiety levels, while decreasing their trust in others — meaning the trade off for an escape-proof “smart” prison might be the mental health of its inmates.